At the farm, we welcome farmers from all over Ireland to see how we keep a contented prime cattle herd. We see farming not just as a business but a way of life and we feel that our passion for farming is reflected in the final product for our customers. Our cattle roam freely on lush grass pastures with the uttermost care and attention. On our farm today there are many animals grazing the rich grassland. 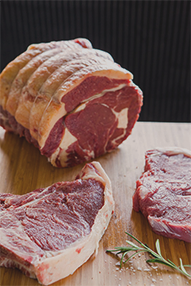 The best native breeds, when combined with traditional farming methods, produce the highest quality beef. The key to quality begins on the farm. 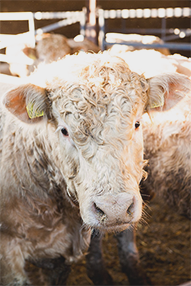 At our farm we show our farmers how we take care of our herd and maintain high quality animal welfare standards. 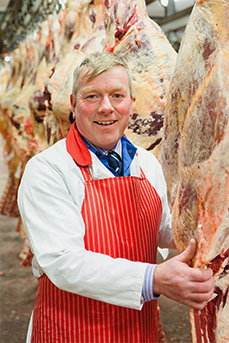 Our attention to detail is always with the aim of producing the highest quality beef for our customers. During the processing stage we exceed all customers safety and quality requirments as, we are BRC and IFS approved to the highest standard. Quality control checks guarantee consistency in freshness and flavour. Most of our fresh meat is carefully packaged using recyclable materials in varying portion sizes, making it easy for you to prepare and store and - most importantly - for the customers to enjoy. Our strict cold chain process maintains the integrity and freshness of our product. With our 24-hour monitoring system we rigorously check the optimum storage temperature while our product is in transt to guarantee the best quality for you. 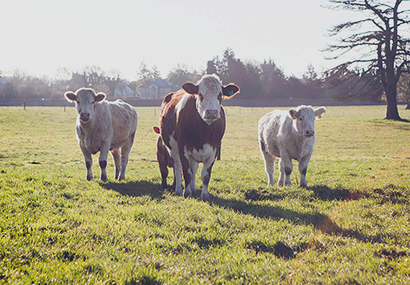 At Liffey Meats, we've been raising cattle for five generations and today we couple our traditional methods of raising beef cattle with contemporary farming advancements. 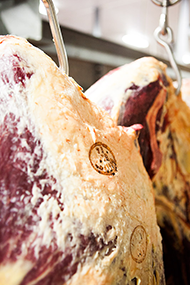 Our emphasis on total quality control means our herd is grass fed, slaughtered in our own abattoir, and the meat aged using slow, traditional methods to produce beef of unsurpassed quality and taste. Ireland has the longest grass-growing season in Europe so our cattle graze a continous diet of fresh grass and clover. By the time of processing, over four-fifths of their diet will have been grass, by far the highest percentage in Europe. Scientific studies show that grass is a more natural diet for beef cattle than grain, and grass gives Irish beef higher levels of Vitamin A and carotine. Liffey Meats Ltd., Ballyjamesduff, Co. Cavan, Ireland.